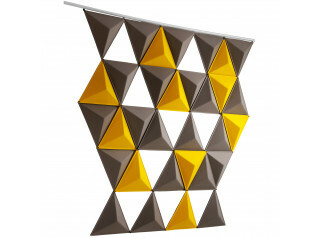 Bits Wall Acoustic Wall Panels designed by Anya Sebton, provide a functional sound absobing wall panel that can also be shaped into decorative pattern formations. 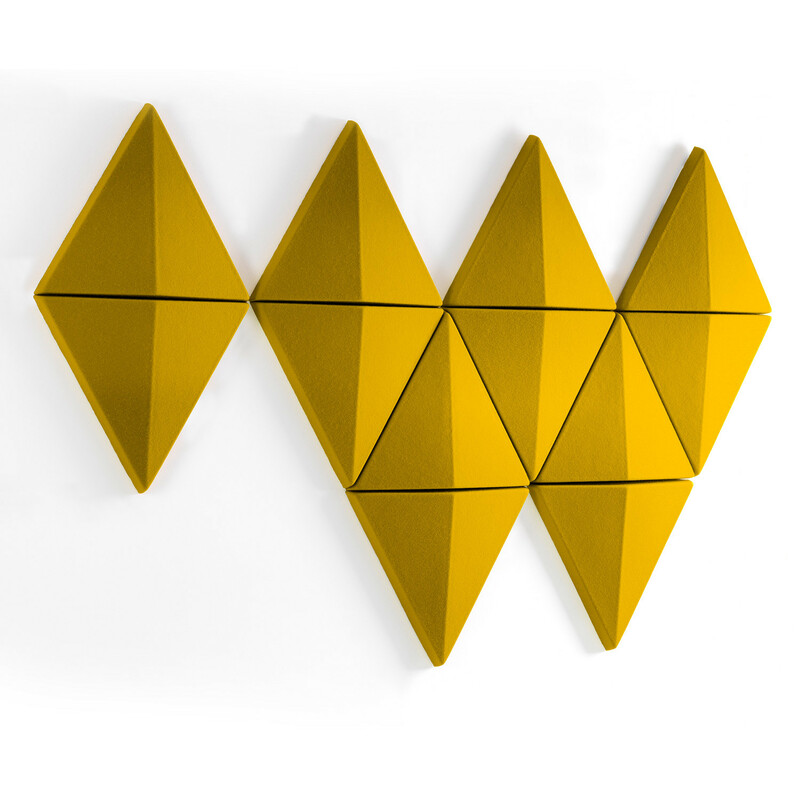 Bits Wall uses a triangular shape which help block sound waves and produces an aestheticallly attractive wall feature for plain empty walls. 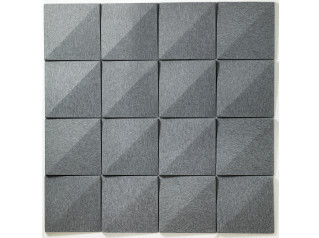 Bits Wall sound-absorbent panels are made from moulded polyester fibre and covered with fabric. 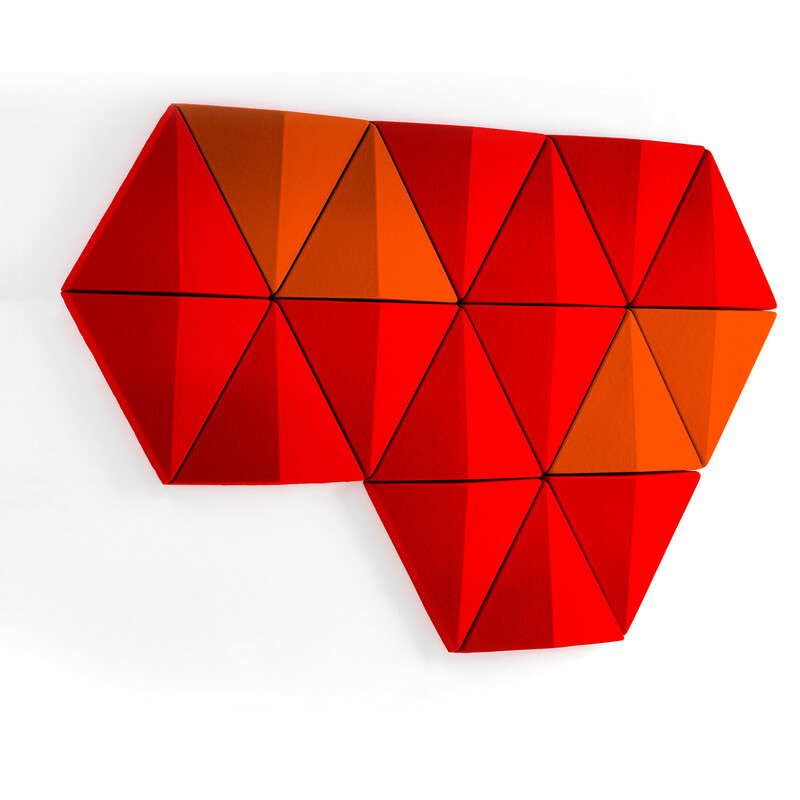 They are mounted using concealed hanging rails, allowing the wall panels to be hung either horizontally or vertically and offering users the flexibility to create both symmetrical and asymmetrical pattern formations. 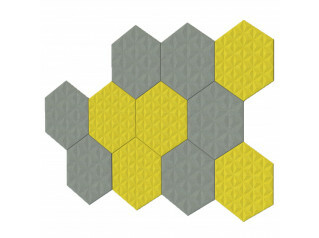 The system’s modular construction means that Bits Wall acoustic panels can be assembled to whatever size the user requires. You are requesting a price for the "Bits Wall Panels"
To create a new project and add "Bits Wall Panels" to it please click the button below. 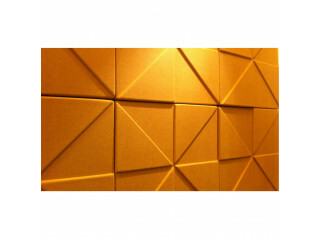 To add "Bits Wall Panels" to an existing project please select below.